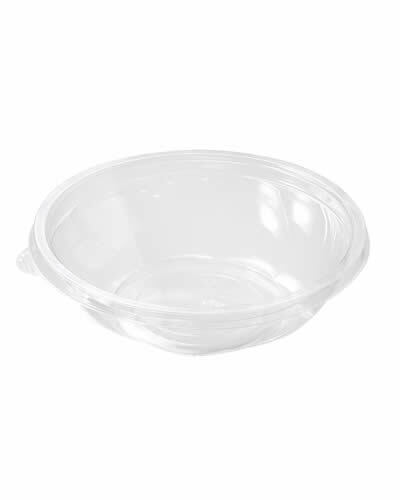 Category: PET SALAD BOWLS | MACPAC S.A.
PET plastic disposable salad bowls manufactured by extrusion and thermoforming have been introduced by Macpac in 2012. 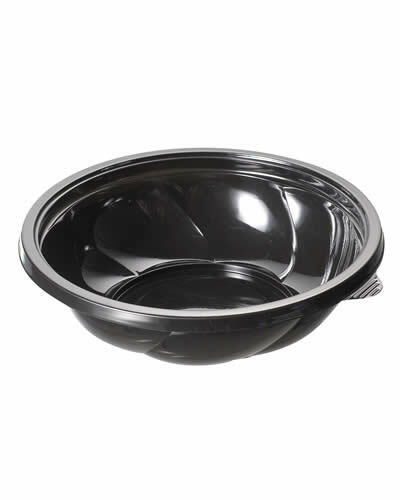 Macpac’s PET salad bowls product group, currently consists of three open top containers that share the same 190mm flat and dome lids. More specifically, the product group consists of three sizes, 600ml, 850ml and 1050ml. Though the above range covers the vast majority of applications such as salads, dressings or deserts, new sizes and shapes are continuously being under consideration from the new product research and development department. All products are manufactured in both transparent and black colour and are readily available throughout the year. Macpac’s flat and dome PET lids can be engraved with the customer’s logo upon investment in the necessary tooling. 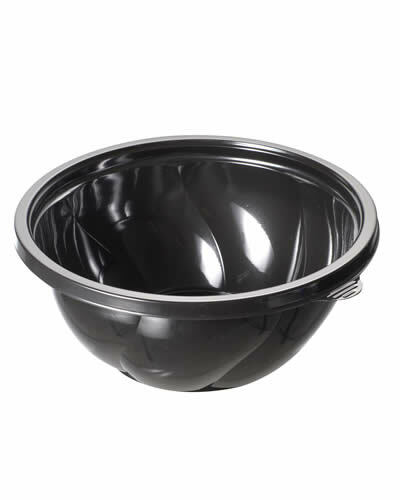 The key feature of Macpac’s PET salad bowl is its durability that can protect the foodstuff especially during road transportation. Perfect lid fit will ensure that any liquid ingredients will always remain inside the bowl thus product attractiveness is never being jeopardized. 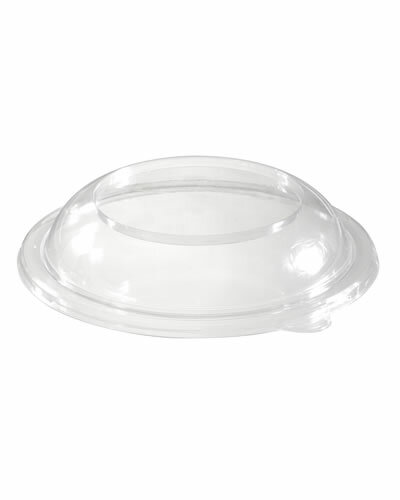 Macpac can also supply retail combo packs of PET salad bowls and PET flat or dome lids shrink-wrapped with an outer label. 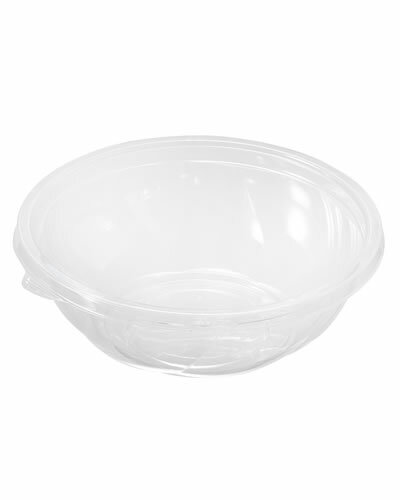 All Macpac’s PET plastic disposable salad bowls are fully recyclable and carry the necessary food certificates. 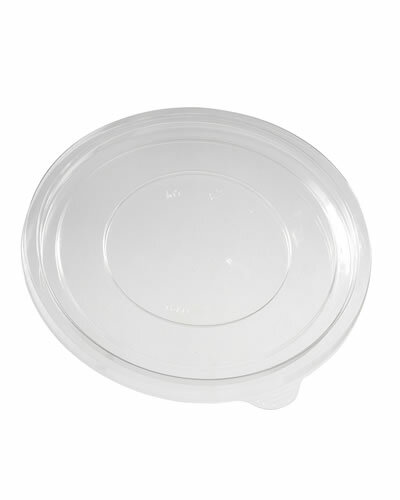 PET plastic disposable dome lid 190mm suitable for all open top round salad containers. 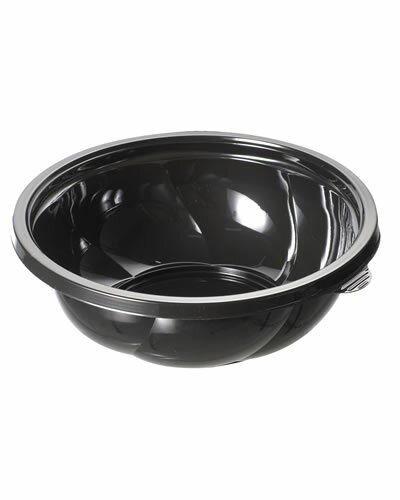 PET plastic disposable black round container 850ml.